It’s been nearly a year since developer Niantic unleashed Pokemon Go, and the mobile giant shows no sign of slowing down anytime soon. 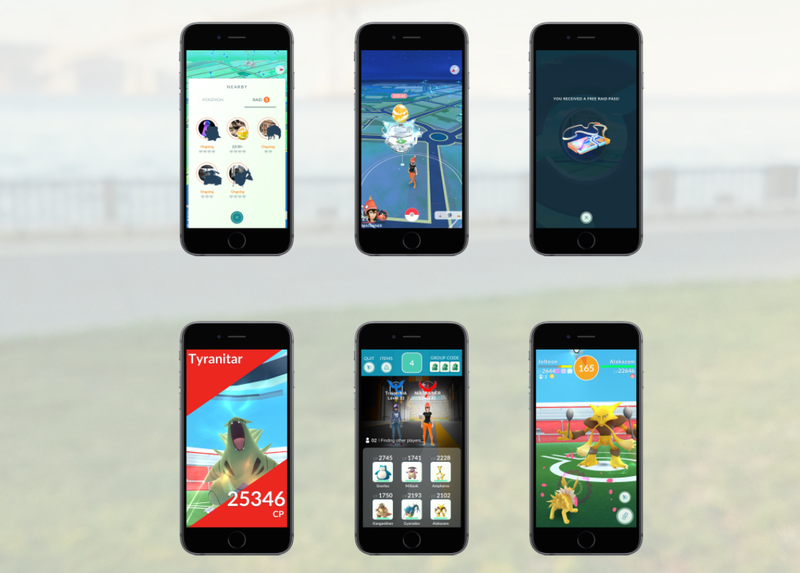 Since its initial release, Niantic has steadily been rolling out content and fixes, adding support for the Apple Watch, as well as upping the amount of Pokemon available by expanding the Pokedex to include Generation 2 creatures. The newest patch (which is due out very soon) is set to revamp the game’s gyms, as well as provide players the chance to battle against powerful Pokemon via a newly included Raid Battle mode. You can check out the patch details below for more information. Updates To Gyms: Players will be able to acquire items at gyms, similar to how they receive items when visiting PokeStops. As opposed to being based on Prestige and training, gyms will now feature six permanent spots, where unique Pokemon can be assigned. As Pokemon defend a gym, their motivation will slowly lower in value. To combat this, trainers can keep their Pokemon motivated by feeding them berries or swapping out assigned Pokemon. Gym Badges: By visiting and interacting with gyms, you can now unlock Gym Badges, which can be levelled up by training Pokemon or unlocking items at a gym. Raid Battles: Trainers will be able to participate in raid battles, a cooperative mode that allows up to 20 trainers to work together to defeat an extremely powerful Pokemon. By defeating Raid Bosses, players will have a chance to catch an extra powerful Pokemon (as of now, it is not known if these will be legendary Pokemon). New Items: A handful of new items will be introduced, that can only be obtained by defeating a Raid Boss. Rare Candy can be used on a specific Pokemon to turn said candy into Pokemon Candy. Golden Razz Berries will greatly increase your chance of catching a wild Pokemon, and it can also be used to replenish a Pokemon’s motivation. Technical Machines (also known as TMs) can be used to teach a Pokemon a new fast or charged attack. These new changes will be rolled out in the coming weeks; in particular, Raid Battles will be slowly rolled out as part of a beta. Finally, in order to accommodate the changes, Niantic is temporarily disabling all gyms. Tell us, which of these changes and new features coming to Pokemon Go are you looking forward to most? Take to the comments section and let us know!